A microchip containing dangerous scientific research has gone missing. The SSU must locate the chip in order to keep the research out of the hands of the criminals and government agencies who would use the data to create a deadly, and unstable, army of superhuman soldiers. Each title is also available for purchase separately. SSU agent Rafe Andros is captured and forced into a secret government program. By the time he emerges, he’s little more than a mindless killing machine with no memory. Scientist Gabby Montague races to unlock Rafe’s memories and the details he holds about an upcoming attack. If she fails, an army of superhuman soldiers will be unleashed against an innocent population. 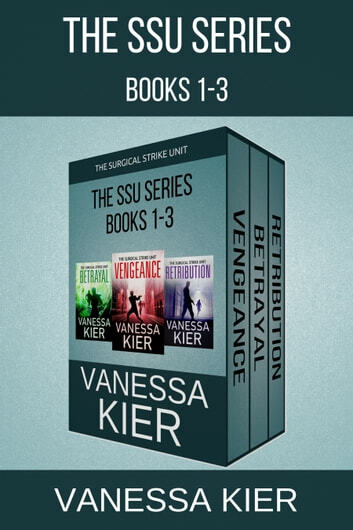 If you like edge-of-your-seat action, government conspiracies, and characters forced to confront the darkness within themselves, then you’ll love Vanessa Kier’s action-packed SSU romantic thriller series. 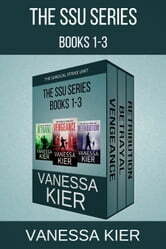 Get The SSU Series Books 1-3 today to begin the adventure! Vanessa Kier spends way too much time thinking up ways she can torture her characters. A worst-case scenario thinker, she's been creating stories in her head since childhood. Now she’s found her niche in writing romantic thrillers that combine intense emotion with action-packed plots. The author of six books in The Surgical Strike Unit series about a privately run special operations group, she has set her new series WAR in West Africa, where she lived for a time. When she’s not writing, listening to music, or playing puzzle games on her mobile device, Vanessa writes the occasional Tech Talk column for her local RWA chapter's newsletter and takes long hikes in the nearby hills. For more about Vanessa and to sign up for her newsletter, please visit her website www.vanessakier.com. Very addictive, not wanting to put it down. I am finding the first set so intriguing I can't wait to get into the last set. I find her writing well done and keeps you wanting to keep reading. Anyone who likes murder, spies and intrigue would like the set . I haven't found anything I don't like about the story or her writing.